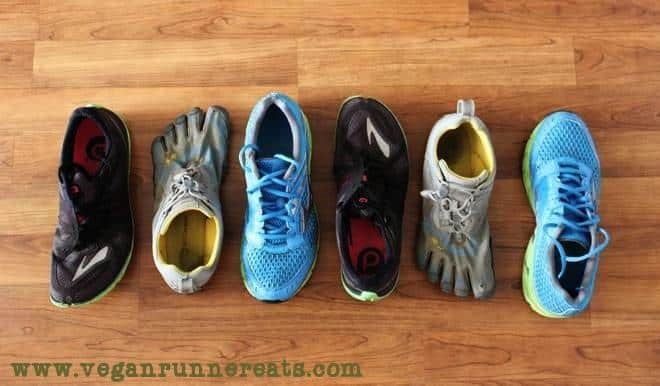 Vegan Runner Eats » Uncategorized » New Running Challenge: the 2013 Holiday Running Streak! Well, this year I’ve decided to not just beat that feeling of emptiness after completing my marathon, but also to try something new in running, something I’ve never done before! (Drumroll please…) Enter the 2013 Holiday Running Streak, introduced by Runner’s World magazine! The idea is to run every day from Thanksgiving to New Year’s Day, with a minimum of 1 (one) mile a day, and a maximum… well, everybody decides on their own maximum. It’s free, there are no lower or upper limits on weekly mileage or speed, and to announce our intentions to the world, we’ve got to pledge on Runner’s World website to run at least one mile a day during the holidays (treadmills count!). Honestly, I’ve never run every single day, even for a week. In fact, I’ve trained for both of my marathons on about 3 runs a week, complemented by 2 gym workouts. I also ran to the gym and back from my apartment, so you can say that I had 5 running days a week. But there were still 2 days off! For marathon training, it was smart to take a couple days off every week to allow my body to recover from long runs or hard gym workouts. As you see, I have no idea what running Every. Single. Day. feels like, even for a week. So this is where the excitement comes from: by participating in the Holiday Running Streak, I’m going to try something I’ve never tried before! Who knows, maybe it will even make me a better runner? See, I’ve always been fascinated by people who run almost every day, and even though I’m now a two-time marathoner, I still feel like those people probably have a running advantage over me. Is there some secret knowledge, some zen-like bliss that they get from daily running, while I don’t? I’m looking forward to finding out! Of course, I’m going to keep you updated on how this challenge goes! And, by the way, you’re welcome to join me and thousands of other streakers this holiday season, starting Thanksgiving Day! Read more about the streak here. I’ll aim for fairly low daily mileage, from 1 mile to 5 or 6. Maybe 7. Okay, 8 miles, tops! If going for 6-8 miles, I’ll only do so once or twice a week. On days I’d normally rest, I’m going to only run 1-2 miles during the streak. Human body still needs a downtime to recover. Sometimes I’m too hard on myself if I cut a workout short (any reason – not feeling well, pressed for time, etc.). I promise myself not to feel guilty if some of my runs turn out too short. Actually, I’m too hard on myself ALWAYS when it comes to my athletic feats, so this holiday season, I’m making a promise to be nice to myself! Doing this running streak during the holiday season has at least one advantage and a disadvantage. This is the busiest time of the year. In addition to holiday shopping, decorating, and cooking a ton, we get to travel a lot, and deal with weather twists and turns. For me, traveling will prove the most challenging because we’re spending Thanksgiving at our friends’ house in a city 2.5 hours away – they might be a little bewildered by my hop outside, followed by cooking my first vegan Thanksgiving meal (oh boy!). For Christmas, we’re visiting my husband’s family in New Jersey and New York – quite some temperature change in comparison to South Alabama! – and just as they thought that Alina’s gotten weird with her vegan thing, I’m going to show them that I’m even more weird than that! Well, I’ll try to do what I can, and if it means cutting my runs short, let it be. There’s little chance that anyone who runs every day through the holiday season is going to end up putting on weight. If anything, these runs might make us fitter, as well as more mindful at that holiday table. I’ve signed up for a five-person marathon relay in January – who knows, maybe those 5 or 6 miles will feel even better after the streak! Lastly, I have to mention the only concern I have regarding my health: my left foot has been bothering me for weeks, more so during rest than running. I haven’t been to a doctor yet. If that tingling turns into a full-grown injury, I might have to cut my running streak short – please don’t judge me too harshly if that happens! Anyway, wish me luck – and join me in this Holiday Running Streak starting Thanksgiving Day! Tagged 2013 Holiday Running Streak, inspiration, running, running challenge. Bookmark the permalink.